Quaid Azam Muhammad Ali Jinnah played a major role in Creation of Pakistan and its Independence from British and Indian rule. 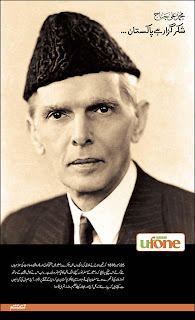 Recently i read a good book about early life of Quaid Azam Muhammad Ali Jinnah so i decided to share the information about his young age here. Following i am sharing some important points about his early life. 1 Real Name of Quaid In Muslim Air Book of India is Muhammad Bhaai Ali Khojani. 2 Quaid Azam Was From Rajput Family. 3 His Birth date in Madrasa Al Islam Karachi is 20 October 1975. 4 Parents of Quaid Azam wher from Kathia Ward. 5 Name of Quaid Azam's Grandfather was Poonja Meghaji. 6 Quaid Azam liked to do Horse Riding in childhood. 7 His Mother Tongue was Gujrati. 8 His mother died in 1896. 9 Name of his Phuppi was Maan Bai. 10 Quaid Azam was having seven brothers and sisters. 11 Biggest sister of Quaid Azam was Rehmat Bibi while smallest was Fatimah Jinnah. 12 Quaid Azam did his first marriage at age of 16.